Justice Minister rejects criticism of the prosecution in the wake of the acquittal of MK Avigdor Lieberman. Justice Minister Tzipi Livni rejected on Wednesday the criticism that was leveled at the State Attorney’s Office in the wake of the acquittal of MK Avigdor Lieberman. After a three-judge panel unanimously acquitted Lieberman of charges of fraud and breach of trust on Wednesday morning, there were calls from both sides of the political spectrum for Attorney General Yehuda Weinstein to resign. The nature of the criticism mostly revolved around the fact that the State Attorney's Office had conducted investigations against Lieberman for 17 years, but none of them produced enough solid evidence of wrongdoing to justify a charge sheet. 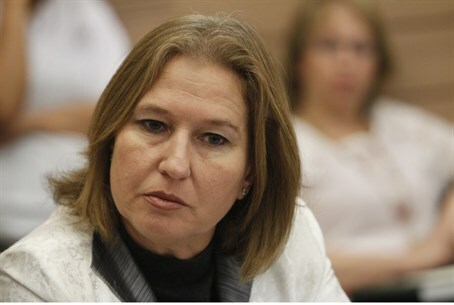 In response, Livni said that Lieberman’s acquittal did not undermine her sense of trust in the Israeli judicial system. Prime Minister Binyamin Netanyahu also played down the criticism on Wednesday, saying that both the legal system and the Attorney General "are doing excellent and dedicated work" and that "in the end it is the courts that decide." Netanyahu continued, in an effort to calm the raging controversy, by declaring that "how awful it would be if we had a society in which every indictment ended in conviction [. . .] for the strength of Israeli democracy, we must all continue to respect the judicial and law enforcement systems." Weinstein, meanwhile, defended his actions in the Lieberman affair, saying that it was his duty was to indict wherever he felt there was a reasonable chance of conviction. Speaking during a conference at Tel Aviv University, Weinstein said, "It is the duty of the court to do what it does. I also carried out my duty." Asked whether the prosecution intended to appeal the verdict, Weinstein replied that he must study the verdict before making a decision on an appeal.